PRODUCET: SIEVERT #3015-04. 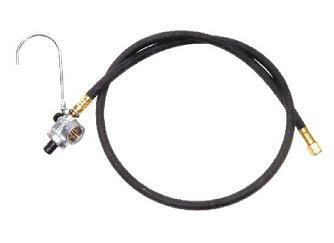 4 FOOT LP GAS HOSE WITH REGULATOR ASSEMBLY, FOR DISPOSABLE PROPANE CYLINDERS. CLOSE-UP IMAGE OF TANK CONNECTION IS HERE. PRICE/EACH. HOSE: 1/4" ID, HIGH PRESSURE PROPANE GRADE. 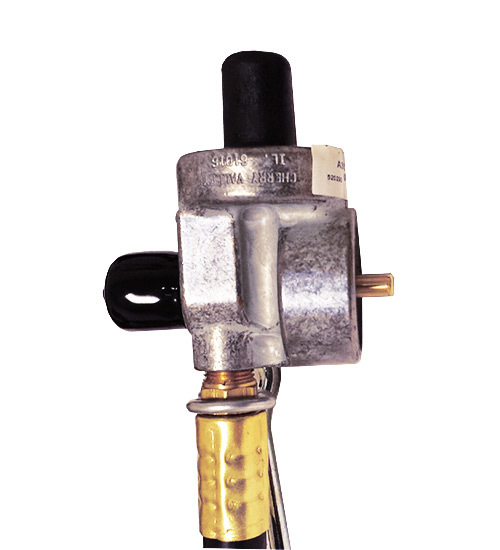 INLET: SCREWS ONTO STANDARD DISPOSABLE PROPANE BOTTLE / CYLINDER. ALLOWS OPERATION OF SMALL SIEVERT TORCHES USING DISPOSABLE PROPANE BOTTLES. Sievert DRK-25 Roofing Detail Torch Kit. With ProMatic Handle and 19-inch Detail Burner. Torch has 89,000 - 150,000 BTU heating capacity. Price/Kit.